Since the internet have been invented, it is always hard to believe how fast did the social network spread over the world. Social Network is a relatively new word, which was first created by J. A. Barnes in 1954 and used to describe a social structure make up of social actors. As the development of the internet 2.0, people are not limited to be viewers, it is possible to post personal photos and videos, chat with others online and watch what others posted. When those were enabled, social software emerged, and in an unimaginable speed, it spread all over the country, even the whole world. I remembered the social software, which is now the most popular one in China, QQ, was created by the Tencent Company at 11/2/1999. The initial function of QQ is only real-time communication, but features such as chatrooms, games and online storage were later added. This software was first released on PC. After 2 years since the release date, the highest number of online users at the same time became 1 million. It is surprising that it can spread so fast in the age when computer was not yet popularized in China. In 2005, this number became 10 million, and in 2010, this number reached 100 million. Through this example, it is easy to see that how fast is the speed of the spreading of social networks. While there were only about 10 million users at March, 2005, the number was tenfold at March, 2010. It shows how fast can the social network spread. It takes decades for TV and Radio to become popular, but social networks take only several years to finish the popularization. Posted on October 9, 2016 by Michael.Dunlea. We as a society are profoundly affected by social networking each and every single day. When we wake up, we check instagram, Facebook, and snapchat. We text our friends, and then we get out of bed. We snap our morning commutes, and post to instagram about our fun nights out, and get our news and local information from Facebook. These social networks have completely embedded themselves in our society as fundamental pillars. We can no longer live without social networks, because they are our now way of communicating and in a certain way, our way or living. We live two lives now, our real one, and our online one, and that to me is scary. It’ll be interesting to see how these two lives continue to blend, or separate, and how we will handle this transition. Social network is something very unique to our generation. Most of us use this digital tool every single day of our lives, but we may not understand the importance and mark it can leave every moment we use it. Social networks allow us to contact our friends and family instantaneously, while also keeping up with their lives according to viewing their posts in different forms (video, text, likes, etc.). Some of the most important things I have viewed through social media during my life was news regarding the Egyptian revolution and the horrific situation in Aleppo, Syria. I remember being in 7th grade one Friday morning, and hearing my fellow Egyptian classmates cheering as the ‘revolution’ just occurred and Mubarak resigned. My teacher, in response, discussed the importance of social media for this revolution. Mubarak and the government shut down the Internet, which served as an important location to protesters. Having their voice taken away from them, Twitter and Google teamed up to allow users in Egypt to leave voice messages on their phones and tweet them with a #Egypt. Through these tweets and subsequent events, the Arab Spring revolution began. 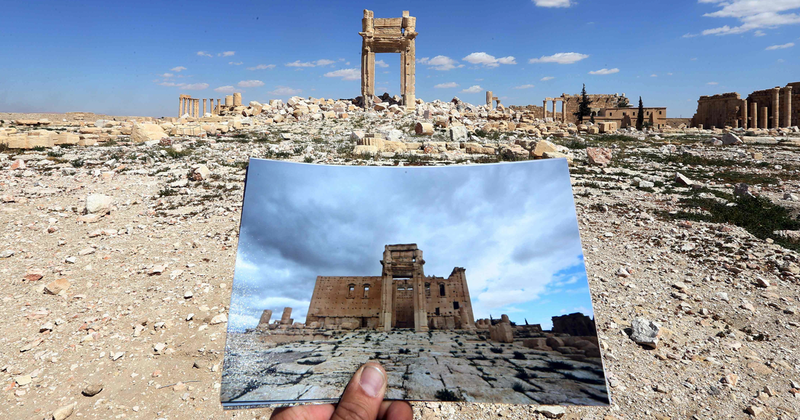 When the crimes and destruction in Aleppo began a couple months ago, I was completely unaware to what Aleppo really was, and the impact it had on its people and history. I only learned of the situation and updates in Aleppo through using Facebook and reading articles shared and posted by friends. There was hardly any media coverage of the Aleppo situation when it first began. I only see now that it is starting to gather publicity, which is completely unfair to the innocent victims in the civil war. I hope that social media continues to educate millions of people through its articles and sources of accurate information regarding important world events. During my freshmen year of high school, almost every two out of three people I knew owned a smartphone. Since then, I have increasingly heard more older adults complaining about how kids these days are always on their phones. While I am not advocating for teens to be texting on their cellphones at funerals, the older generation must at least try to understand why millennials feel a certain level of comfort and security from their personal device. This is a pivotal step to understand the underlying issues that already exist between parents and their children rather than the arrogance and rudeness of the youth. 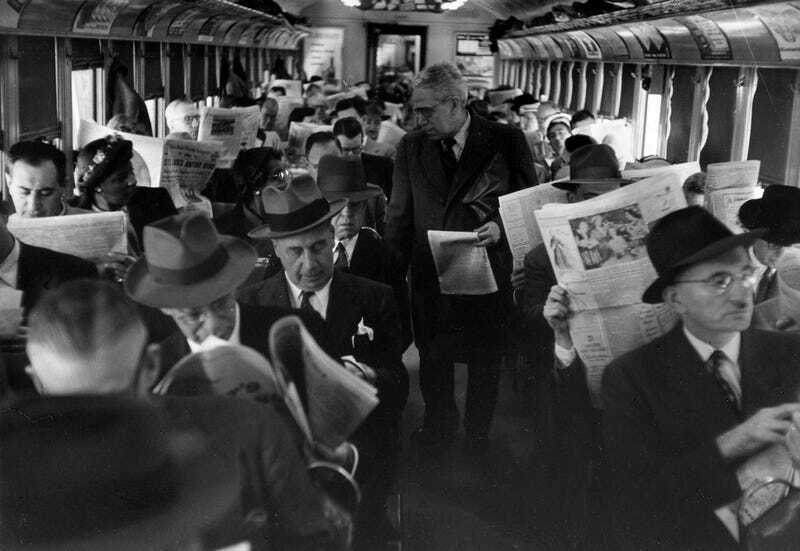 The popular image of people reading newspapers even sometimes with the caption:”All this technology is making us antisocial.” has been circulated so much around the Internet that there is even a bitter article condemning it: Stop Sharing This Photo of Antisocial Newspaper Readers. The author, Kevin Hoffman, entire argument lies on the fact that the average reading span of a newspaper is much lower than the the possible possible time spent on smartphones. But the fact of the matter is when someone does not want to speak to you they will use any material to hinder starting any conversation. Personally, I feel this underlying reason why teens will not speak to their parents even at the dinner table is more frightening than the use of cellphones themselves. Social networks are basically the “market squares” of today. Social networks have completely erased the necessity of physical social interaction with social interaction through ever-expanding networks. Social networking sites, be it Facebook, Twitter, or even Snapchat have made strides to connect not only teenagers, but every age group. Families are interconnected between countries, no distance can separate anybody with social networks. The amazing thing about social networks is that they bridge the gap of distance. Today we are able to communicate with anybody anywhere, which brings the extreme amount of communications and information transfer around the world. Because of social networks, ideas are forming and are constantly being put into use. We owe so much to social networks because they allow for overall human improvement. Without social networks, our world would only be a fraction of what it is now. Then, of course, there are your third kind of people. The kind of people that are probably the most common, really, but it bears putting into words anyway. These are the people that can balance the two more extreme views, who can, in fact, do both. These are the people that see the value in social media, who can pop onto Facebook or Snapchat or what have you, and chat with their friends and laugh at the newest cat video and share bits of their lives with the rest of the world, but who can also put the phone down, log off, go for a walk or read a book or play video games, just take some time to themselves and maybe be alone with their thoughts for a while, or go out and talk to people in the real world. The dichotomy is simple, when you think about it. It makes sense. We are inherently social animals, and the desire to be connected to a group, a community, is intrinsic to our nature. It’s simply how we’re wired. But at the same time, we’re also individuals, and it’s natural for us to want to go out and do our own things. And so we’re connected, unless we aren’t. We’re on our own, unless we’re not. In today’s generation, the majority of students are able to connect with one another through the wonderful world of the Internet and all that it has to offer. Social networks provide students with an easier way to interact with each other for any reason. Through social media and various applications, people are able to stay connected with each other, something that is very important to have in our world today. The way in which our technological devices and applications are progressing makes it seem as if there are new applications that are becoming popular every week. It plays such a large role in our lives today that many people are putting a large portion of their personal lives on their accounts. By doing this, it puts them at a larger risk of being hacked, cyberbullied, or attacked. Although social networking allows people to get closer to one another through sharing information on news feeds, posting photos of recent events, or obtaining information through various news sources, social media has its positives and its negatives, something that all users should be conscientious of. In high school, I mainly used Facebook, Instagram, Gmail, and Snapchat to build and strengthen my social networks with my friends, teachers and family. However, when I came to Rutgers, I realized how prevalent GroupMe was. GroupMe is a mobile application that connects people by mainly group chats. After three days in Rutgers, I was already in four group chats on GroupMe, which were for classes and clubs, that I avidly use. I used to be unsure about why it is so popular in college; people could just use Facebook group chats instead. But now I realized that the reason could be because of how easy it was to create a group. For Facebook, you had to “friend” someone in order to add that person to a group. in GroupMe, all you have to do is add the contact number or search the name to add the person to the group chat. This difference in convenience is probably why GroupMe is so popular in college; when you meet so many people at once, there needs to be an easier way to contact people in groups. Compared to Facebook’s process, GroupMe’s process is simply faster. In the world we live in today relies so heavily on social media to the point that most people connected to the internet have social media in some shape or form. Whether it be a Facebook account for staying connected with college friends, a Twitter to share cat videos, an Instagram to post endless photos of food, or a LinkedIn to hopefully find a foreseeable job for the future; social media has taken a significant role in lives of not just everyday Americans but anyone connected to the web. To me the idea that social media became such a big thing in this new millennium is astonishing since the Web developed in probably the similar amount of time it took for social media sites to flourish. The other astonishing concept to me is that one of the first social media sites, MySpace today is irrelevant compared to Facebook which came a few years later which has exploded to become a global phenomenon. Obviously there’s a debate whether social media has become more of a tool or nuisance in today’s day and age. But one thing for sure is that if it were to someday disappear then communication and the overall usage of the Web would change drastically. The social network; its vast and complex digital infrastructure, is at its core based upon personal connections. The ability to instantaneously interact and converse and exchange thoughts with another human being and establish some sort of lasting connection is what the whole concept relies on. So why do we subconsciously feel a desire to keep coming back to these networks? Why do they affect us when we so desperately try to let them slip by? Clearly there is some sort of internal mechanism promoting this, but what is it exactly? Some may argue that it is a sense of self-gratification while others may say it is a case of extreme curiosity; that we have a strong urge to know about the lives of others and we invest ourselves in them. That we tie our well-being to theirs and forces us to come back. While I do not necessarily disagree with these, I would like to propose a different view point; a view point that relies less on the concrete and measurable causes. Instead this idea is more subjective and subtle; performed unconsciously beneath the surface. Jean – Paul Sartre famously said “Hell is other people”. With this he is noting how we cannot really know ourselves without taking into mind how we are perceived by others. Other people, and by extensions their opinions, are so important to us that the puzzle which is our personal identity is incomplete without them. Whether or not we as individuals like this reliance on others for identity, it forces us to be self-aware. Social Networking fulfills this desire, albeit not on purpose. As of this moment, no social network has been created with the main purpose of promoting a deeper, more personal sense of self-awareness contributing to an overall image. That is just not a thing at this moment. What happens instead is that so much personal information being expunged about ourselves forces others to form their opinions and share them. They comment on blogs, videos, photos, anything that you put online really. As we browse through the feedback of all those who have left an opinion we start to catalog them and try to reconcile them with the partial image we ourselves have created in our heads. This is all done without any deliberate, conscious effort. By nature we perform these tasks. Thus, since humans are always thirsty for a definition of identity, we keep coming back for more pieces to finish our puzzle. From this we can also examine how social networking changes our emotions. In order to do this the superficial factors must be eliminated. Things such as excessively sad, joyful, hateful, and frightening content and interactions. We need to focus solely on expressed opinions and not the rubbish that clogs social networking. So by establishing that we need these opinions from others to finish our identity and that these make us self-aware, we can answer how it would alter our well being. The key to this is a phrase I have repeated quite a few times for this reason: being self-aware. By focusing in on ourselves, we see what we didn’t want to see. These opinions show us what we have been too blind to see. Our defects, our shame, our failure, our cracks and insecurities, our pride, our anger, our lies. The internal eyelids are held open as everything that which we wished not to see we are shown. In most cases the result is obvious. Depression. Dread. In contrast with the notion that we become depressed because we’re afraid to miss something or that some external force is breaking our limits, we become depressed because we are reminded of our fragile human identity. Not the external identity that we showcase, but the internal identity that defines a mind. However the mind does not despair due to some sort of personal attack. It despairs because we are shown how we have always been, but have ignored. That we are not as flawless as we thought. We are not as strong, as smart, as successful, as well put together as we would like to believe. And because we have been shown the fragility of our mind, our bodies take that perception and portray them to the outside world. Ultimately, the social networking platform never intended to function in this manner. To show us these internal truths by providing us the missing pieces that we deliberately avoid but secretly desire was never the reason. Due to the fact that it accidentally fulfills this desire that we do not want to admit we have, we become internally obsessed. Obsessed because it allows us to see what we could not see, would not see, and sometimes even should not see. Then once we have been shown these skeletons of the mind, we despair because it forces our walled, internalized view to be extensively renovated. In turn this drags the rest of our mentality down with it, and indeed our physical selves. For better or worse the social network has shown us to be human, and we can’t let it go now.